LEVEL UP YOUR LIFESTYLE WITH SM CITY SAN JOSE DEL MONTE’S NEW STORES! 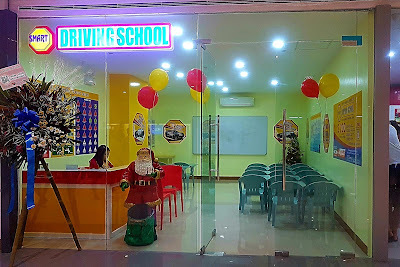 SMART DRIVING SCHOOL now ready to accept students for a responsible and discipline driving, located at the Basement 1 of SM City San Jose del Monte. It’s 2019 and SM City San Jose del Monte is proudly and continuously adding new and different selection of stores that will surely bring shoppers more excitement and fun. Calling all future drivers, the most modern and advance driving school today is already open at the Basement 1 of SM City San Jose del Monte! Opened last November 26, SMART DRIVING SCHOOL provides the best quality service through their highly trained professional driving instructors, modern lecture facility, and latest and brand new training vehicles at very affordable rates. 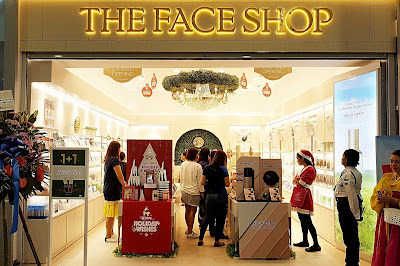 THE FACE SHOP offers shoppers with high quality Korean beauty products, formulated with the finest natural ingredients, and using the most sophisticated technology, located at the Upper Ground Level of SM City San Jose del Monte. The nature and science come together as Korea’s first and leading cosmetic brand, THE FACE SHOP opens last December 10 at Upper Ground Floor of SM City San Jose del Monte. Committed to the wonders of nature and power of technology, The Face Shop provides shoppers with high quality Korean beauty products, formulated with the finest natural ingredients, and using the most sophisticated technology, while keeping its prices affordable. 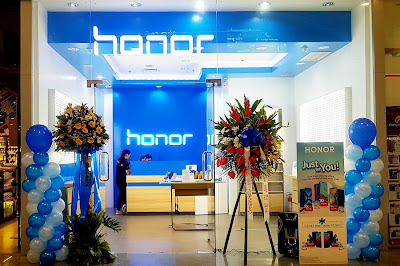 And to all the Digital natives out there, the leading smartphone e-brand under Huawei Group, HONOR recently opened last January 11. Made in today’s mobile internet era, Honor was created to meet your needs thru unrivaled product with unbeatable value, innovative and trendsetting brand around the world. Honor phones are designed for the young people and also for the young at heart to tell compelling and personal stories. Its store is located at the Lower Ground Floor, Cyberzone area. You now know how to drive, bought a natural-inspired cosmetic products, and already have a brand new phone, but you cannot give up your luxury watch yet? WATCH CENTRAL is the key, for it is your complete source of preloved and pre-owned luxury watch services. Slated to open on the first quarter of the year and to be located at the Upper Ground Level, Watch Central will help you keep your luxury watch functioning at its highest level possible with overhaul, repair, water testing, and treatment services. Visit HUAWEI new concept store at the Lower Ground Floor of SM City San Jose del Monte, Cyberzone area near the main mall’s atrium side. Stress no more as you can now pamper yourself with the coming of URBANESSENCE at the Second Level of SM City San Jose del Monte. Urbanessence is a beauty and wellness spa that will offer high-quality services such as full-body massages, body polishes, slimming, whitening and skin care treatments especially designed for clients who simply want to look good and feel good at very affordable rates. Are you looking for a drink that will freshen you up? DAKASI will soon add to the Coffee and Milk Tea family of SM City San Jose del Monte! To be located at the Upper Ground Floor beside mall’s main entrance, Dakasi’s drinks are made with fresh ingredients with no artificial flavoring. With its fresh, unique, and convenient drinks, Dakasi will make milk teas an indispensable part of the daily lives of San Joseños. 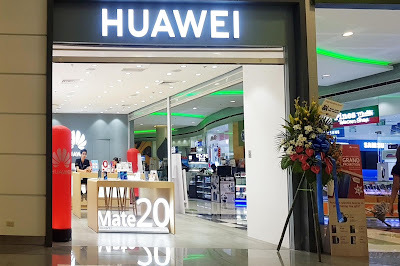 The former concept store of Huawei paved way to its sub-brand, HONOR located at the other side of SM Cyberzone at the Lower Ground Floor of SM City San Jose del Monte. And for the seafood lovers, the good news is here as the ‘Home of the Giant Butterfly Squid’ is on the way! ABOVE SEA LEVEL is a food shack that’s making waves in the sea full of restaurants and countless food trends that specializes in affordable, fresh and flavorful seafood dishes will surely hook the shoppers with our all-time favorites, such as shrimps, mussels, crabs, and shrimps. Slated to open on the first quarter of the month, Above Sea Level will make you SEA food differently. For more exciting and fun happenings, visit SM City San Jose del Monte’s Official Facebook Page, page www.facebook.com/SMSanJoseDelMonte.